As petrol and diesel prices across the country are on a record-breaking spree, the Union Cabinet on Wednesday raised the market price of ethanol by over Rs 5 from the current Rs 47.13 per litre to Rs 52.43 per litre. The move aims to reduce surplus sugar production and also the fuel import bill. 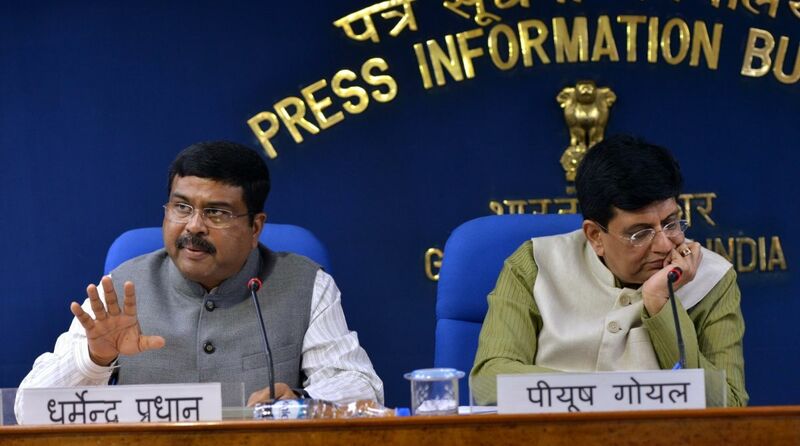 This was announced by Union Petroleum and Skill Development Minister Dharmendra Pradhan who was briefing reporters following a cabinet meeting. Pradhan said the Cabinet Committee on Economic Affairs (CCEA) had also decided to increase the ex-mill price of ethanol derived fully from sugarcane juice at Rs 59.13 per litre for those mills that will divert their total sugarcane juice for ethanol production without producing any sugar. GST and transportation charges would also be payable, said the government. It is expected that the increased price will encourage the sugar mills to focus on the production of ethanol from sugar. Ethanol has long been approved as an alternative fuel that can be blended with petrol to bring down its cost and cut down carbon emissions. Since India imports more than 80 per cent of its oil, the rising price of crude oil and devaluation of the rupee has resulted in a meteoric rise of fuel in the local market. Also, the enhanced production of ethanol is expected to lower India’s dependency on imported oil thereby cutting down the steep rise in the cost of petrol and diesel.